If you're near Fresno, Tulare, or Kings county, try these eateries! If you're here from part 1 of this article, welcome back! If you clicked on this article before reading part 1, please click here to read other first. Let's continue on with our list of the top 12 local restaurants in California's San Joaquin Valley! In the mood for some Indian food? Head on over to Downtown Visalia's Cafe India! 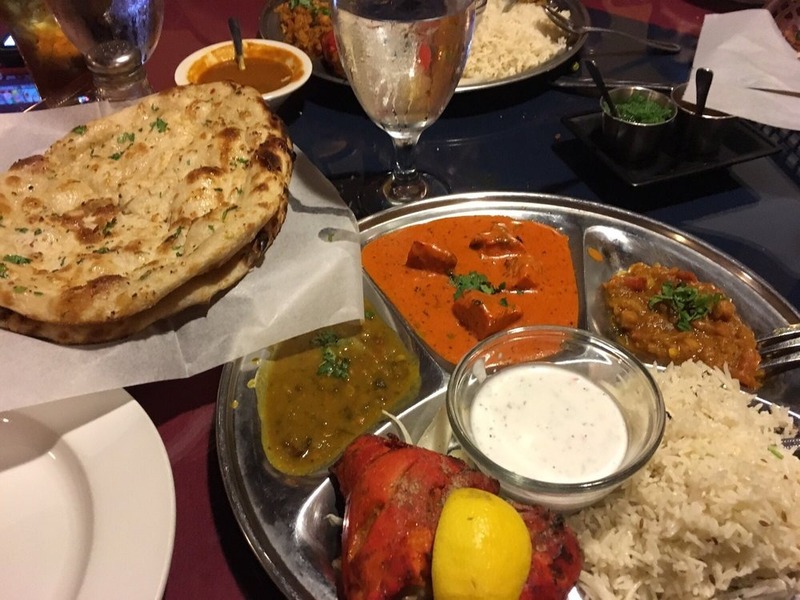 Believe me, you will not be disappointed with what they have to offer; there's something for everyone, even if you don't think you'll like Indian cuisine. But before I begin, keep in mind that Cafe India is more of a sit-down restaurant type of environment. If you want a casual environment for lunch or a quick dinner, they also offer patio seating. If you aren't sure what to order, I highly recommend opting for their buffet. It's affordable and has many meat and side options to pick from, plus dessert, to keep your belly full all for under $10. If you wish order from the menu, I recommend getting the Chicken Tikka Masala or the Tandoori Chicken, basmati rice, and a side of their fresh garlic naan or roti. Ordering one of their dinner combo plates, however, you can ensure to receive plenty of sides, including a yogurt dipping sauce to keep your palette cool and dessert to top off your meal. To cool down the heavy flavors after eating, I like to order rice pudding for dessert (that is, if I have room). It's light, creamy, and mild after consuming a big, Indian meal. With all the herbs and spices you've just consumed, your sinuses and throat will begin to clear; I guarantee it! Works every time for me. 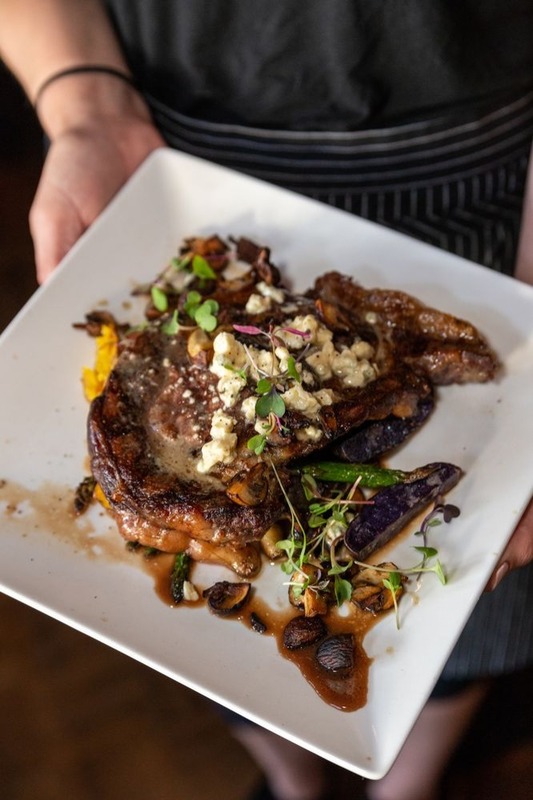 If you're hoping for something on the fancier end of the spectrum (we're talking "date night" type of fancy), consider going to Monet's Wine Bistro in the small town of Exeter. Monet's offers an exquisite menu of French cuisine like no other. And don't worry, you don't have to order escargot! But I do recommend getting a reservation prior to dining at Monet's as it's a smaller building and tends to get crowded quickly. They also have a separate party room in the back if you're bringing a large group of people. Let's get down to the food. For a starter, the Caramelized Shallot & Lavender Brie, Hot Goat Cheese Crostini, and the Baked Brie & Pear are all excellent options. As for dinner, consider the Cordon Bleu Crepe, Croque Monsieur, or Chocolate-Berry Salad. But in actuality, anything you order will be phenomenal. Oh, and PLEASE, before you leave, get dessert! If you didn't already have Monet's famous lavender tea, lemonade, or martini with your meal, you'll absolutely love their lavender-flavored cheesecake or cookies. If you're a foodie like me, you'll want to put on a poker face when eating anything here, especially dessert. Every time I eat here, I want to stand up and yell, "This is so good!" but you can't really do that in a nicer restaurant, can you? For those who are hungry, and I mean HUNGRY, the Butcher & Baker Cafe (used to be Glick's) in Visalia is where it's at. As you can see by the featured photo for this section, it's clear that they give large portions of food. That said, you may wish to share with someone else...or not. While this Visalia eatery can whip up a mean burger, I prefer ordering off their brunch menu as they have a lot of great options to offer. You can usually find me ordering their California Breakfast Burrito or their Chili Verde. If you get their house potatoes, they are well-crisped and have a bit of a Mexican touch to them as they are topped off with cilantro and queso. Nothing can compare to their breakfast potatoes, nothing. Other menu items I have yet to try that I hear are also good include the Swedish Pancakes, Steak Colorado, and the Viking Breakfast. There's something for everyone. Overall, the Butcher & Baker Cafe offers quality brunch and burgers of incredible portions for an affordable cost. For those reasons, I usually come here once a week! 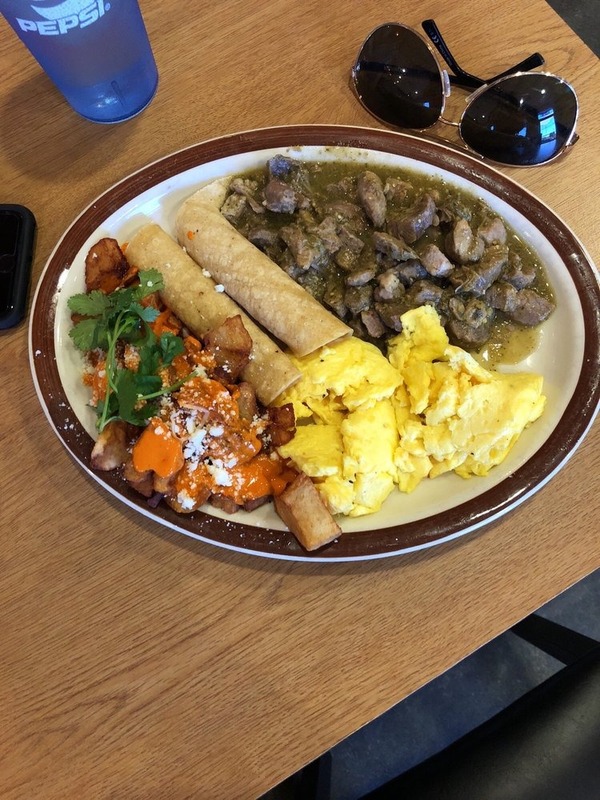 The best place to get Southwestern cuisine, without going south of the border of course, is at Figaro's Southwestern Grill, located in Visalia, Tulare, Clovis, Fresno, and Hanford. Apart from the food, the first thing that stands out to me is that this place is always clean, even their salsa bar, despite the fact that both the restaurant and their patio are huge. 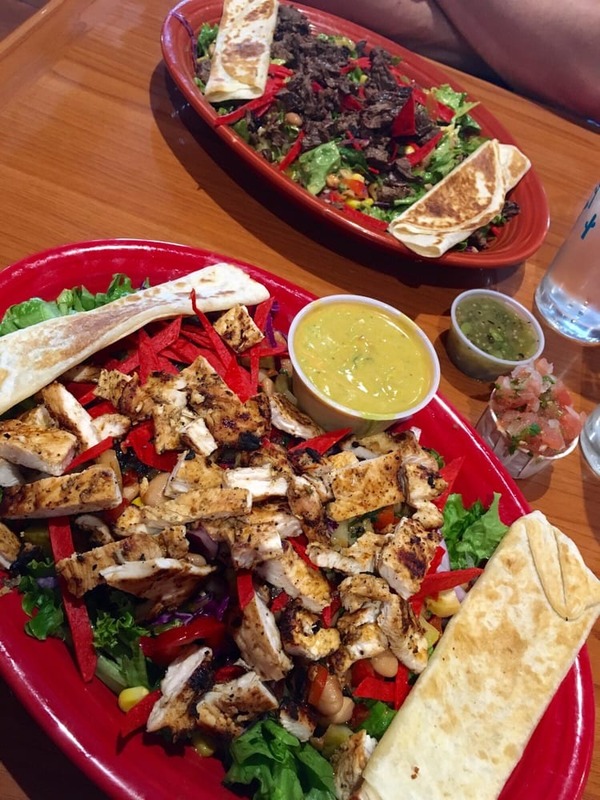 In the summer, I typically order their Chop Chop Chicken Salad, Summer Wrap, or their Tropical Quesadilla which is stuffed with pineapple and poblano among other tasty ingredients. In the winter, however, you can find me chowing down on their delectable Chicken Tortilla Soup. It's all good stuff, and their salsa bar makes it ten times better. Call me crazy, but this establishment has the best lemon and lime slices in their salsa bar; they tend to be dry or bitter at many other restaurants. But before you go, note that Figaro's can get pretty crowded on the weekends, so go early if possible. Otherwise, their patio almost always has seating available and is incredibly relaxing if you'd like a bit more privacy. Usually after I'm done eating, I head on over to Vallarta, a Latin supermarket in the same parking lot as Figaro's, to shop around for a bit and maybe pick up a Mexican pastry for dessert! Don't let the name of this next Visalia restaurant fool you into thinking it only offers great adult beverages. Sequoia Brewing Company in Downtown Visalia has some amazing food as well! 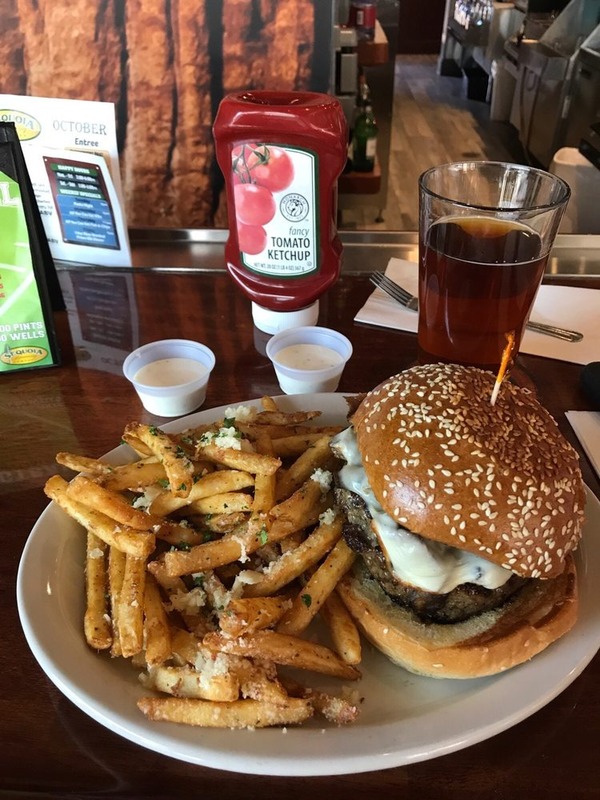 They always have unique food and drink specials available, so be sure to check these out before ordering from the menu. Their September specials include a Bourbon Blue Cheese Tri-Tip Sandwich, Tiki Mule, Pistachio Macchiato, and a Belgian Waffle Sunday (Sundae) for dessert. I'm usually not one to order dessert every time I go out to eat, but rumor has it that Sequoia Brewing also has crazy awesome treats. Some featured desserts they've had in the past include Root Beer Cheesecake, Cinnamon Churros a la Mode, and Housemade Key Lime Pie. All good stuff! Last but not least, I'll share with you just one more San Joaquin Valley restaurant you must try: The Planing Mill. This one is also in Downtown Visalia. Now, this isn't like a Little Caesars or a Domino's (definitely not). 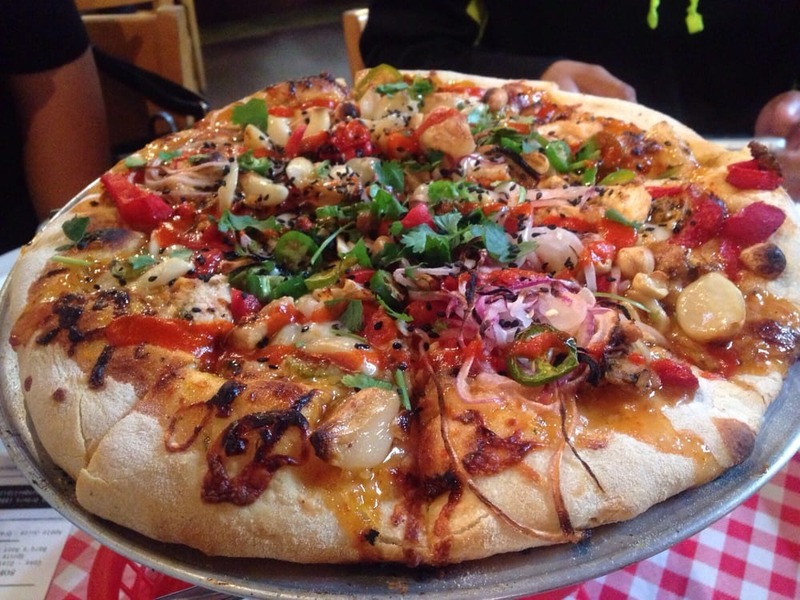 The Planing Mill offers one-of-a-kind pizzas, wings, salads, and much more. The eatery even won Small Business of the Year in 2017, as presented by the Visalia Chamber of Commerce. My favorite appetizers to order (and I rarely order appetizers) include the Bruschetta and the Avochetta (crostini with avocado, grape tomatoes, red pepper flakes, and sea salt). If I'm in the mood for a pulled pork sandwich, I usually order the Red Pulled Pork or the El Cubano sandwich. However, I typically opt for one of their pizzas such as the Thai Pie (featured in the image above), Muscles from Brussels, or the Funky Chicken. They also offer a build-your-own pizza option. Sometimes The Planing Mill can get pretty crowded, and because everything is fresh, the food may take longer at times. But great food can never be rushed! But if you want a quick bite to eat, The Planing Mill offers large, premade pizza slices and a drink for an affordable cost if you're on your lunch break.